October is the greatest month to explore all things ghostly. I’ve talked about poltergeists before and we learned that if you don’t actually see what threw the plate at you then it was, most likely, a poltergeist instead of a ghost. Ghosts don’t fool around in the background of life. They are right there to scare the puddin’ out of you every chance they get. But why? 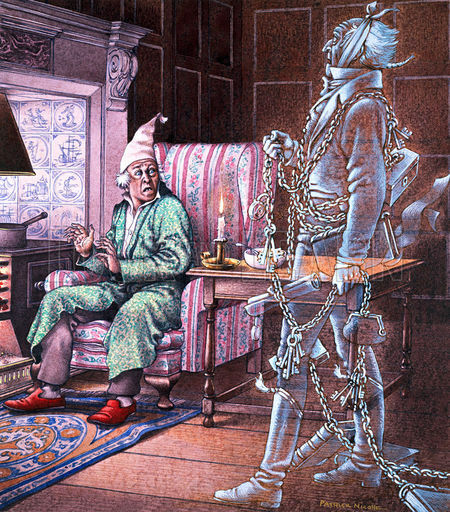 Why does a ghostly spirit get his kicks from bugging a cool person like you? Well, let’s start at the beginning and learn the different ghost types. To be clear, my list of different paranormal activities is not the be all end all of definitions but it is how I look at the different energies whose intention may or may not be hanging around with our best interests at heart. Ghosts can have their own agendas. I figure everyone on earth, you and I are spirits. Spirits that come through as ghosts are spirits that are dead. Basically, ghosts are people too, just dead people. That’s the first type of ghost. Like when your late Nana and Uncle Joe come round to chat. 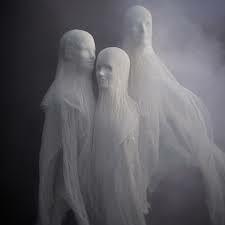 Again, if an apparition comes to visit they are, most likely, family members or friends, people you had a strong bond with usually visiting to add support and understanding during challenging times, or to reassure you that they are alright in the after life. The next type of ghost experience people have are haunted locations. You can go crazy with this one in a couple of ways. First is an energy imprint in a certain area of a house, train, ship or car. The energy that was created in the past during a very traumatic event can be so strong as actually to enable it to take on a life of its own and be absorbed into the location. This collection of drama, trauma, and fear grows independent of a person and can walk around all by its lonesome leaving cold spots where ever it roams. 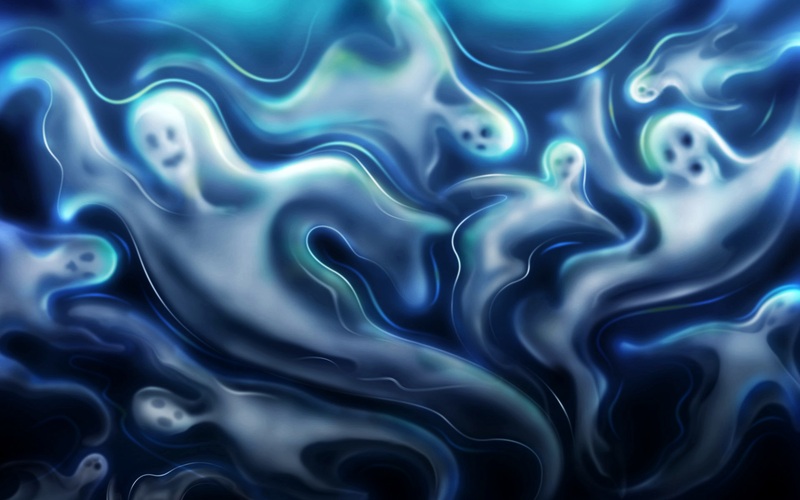 People who are sensitive to spirits — both alive and dead — may develop symptoms and side effects when they enter areas with violent histories. From battlefields to prisons, these independent energies always seem to be there, usually on the dark side, hanging around, making goose bumps and sad, intrusive feelings overwhelm you. To a ghost buster and historian this might be great fun, but for the sensitive person with awareness of things unseen, this can be the beginning of a really crummy day. You have to make the effort to realize where the icky feelings came from — a bummed-out experience for a spirit — shake it off and declare your independence if you want to find any relief. Another type of ghost hangs out in certain spots as described above. However, they show up and manifest full body. You will be climbing the stairs minding your own business and BAM, a cold spot makes you shiver. You look up and see someone without feet suspended in the air looking just as surprised to see YOU. Two things are happening: 1. Your spiritual eyes happen to be open at the moment which is what enables you to see it in the first place;, 2. The apparition’s desire to be understood matches your desire to serve. This is called an intelligent haunting and can interact with you by smiling, talking, or winking; you know, the stuff of which movies and therapy appointments are made. There’s lots on this topic regarding things that go bump in the night, but for now I would like to address what I mean to have your spiritual eyes open. I feel humans have a sincere desire to understand the world around them. I also believe wholeheartedly that most have a matching desire to serve humanity as a whole. To understand the seen and unseen you need to have two sets of eyes; the eyes in your head and the eyes in your heart. The eyes in our heads are designed to observe critically and make judgments to ensure safety. The ones in our hearts are abstractly designed to interpret intentions of life around us. It is with our spiritual eyes we see ghosts and feel energies around us. The spiritual world is not seeking you out. They simply are moving around doing their own thing, fulfilling their own goals right alongside of us. You can be to ghosts what some of them are to us. That’s a chance to change and evolve when witness to each other. An experience that crosses the veil can effectively back someone up enough, philosophically, to see truly how life, love, and even a haunting, can affect your assumptions of the bigger picture. It’s in the bigger picture where people start to understand their lives, and ultimately, their peace. Sincerely bless the energy with all your spiritual heart when you see a ghost. Visualize God’s white coming into the area, surrounding you both with love. This is where your innate and organic desire to serve can come out and be expressed. It’s within that field of light where peace lives. And with any luck at all, they will ‘Bless’ the same for you. “Past right and wrong”, Remi says, “there is a field, I’ll meet you there.” Yes, come on over, let’s sit, relax and have a chat. Last but not least, free psychic readings and house clearings. W-H-A-T? You read that right! Every week there will be a lucky winner. Last week was Nellie M! Simply email me at debrazachau@gmail.com to submit your entry. Write in the Subject line, I WANT TO WIN. One submission per week please. You can also visit her website at http://www.debrazachau.com. Bill Murray ‘ghostbusted’ at Kit Carson Park?